Manfreð Vilhjálmsson was born in Reykjavík in 1928. His family lived in a wooden house built by his father in Skildinganes in 1927. During his youth, Manfreð spent long hours in his father’s workshop located in the basement of the house, as his intention was to become a carpenter. Manfreð decided, however, to study architecture on the advice of the architects Sigvaldi Thordarson and Halldór H. Jónsson. He was though to work on a number of projects with his father after finishing his architectural studies, the best known being Manfreð’s own house, which he named ‘carpenter’s house’ as a homage to his father. Reinterpreting Mies’s famous statement, ‘God is in the detail’, Manfreð created his own motto ‘Good is in the detail’, which he has followed in all his projects. At the end of the forties, Iceland was being modernised and was undergoing a great economic upheaval. The country had gained independence from Denmark in 1944 and World War II had, with the occupation of the British and later American army, created a number of new jobs in Reykjavík, reinforced by Marshall Plan aid that Iceland received from 1948 to 1953. After the war, Europe was severely wounded and Manfreð did not have many options in terms of his studies: USA, Switzerland or Sweden. He chose the architectural department of Chalmers University of Technology in Gothenburg, where special emphasis was put on making design ideas practicable, and on encouraging effective collaboration with craftsmen. One of his main tutors was Jan Wallinder, a prominent architect at the time, who stressed the architect’s duty to ‘attune’ the space to the needs of the users, and to be sensitive to how people perceive and interact with buildings. Manfreð was also taught by art historian Elias Cornell, who placed architectural history in the context of social evolution. After his graduation in 1954, he worked in the office of Jan Wallinder and Sven Brolind in Gothenborg. He returned to Iceland at the end of 1955, and worked in the office of Skarphéðinn Jóhannsson (1914 – 1970), both a cabinetmaker and an architect, whose way of thinking reflected a harmony between building, furniture and interior design. It was here that Manfreð developed a real interest in furniture design. An example of Skarphéðinn’s dwelling designs is the house at Bergstaðastræti 70, designed in 1957/58 and which is now one of the hallmarks of Icelandic architecture. Manfreð left Skarpéðinn’s office in 1959 and started his own one. When Manfreð returned to Iceland, he met diverse opinions on where to seek inspiration for new architecture. Wanting to keep abreast of ideas and innovations abroad, Manfreð followed several international architectural magazines, such as the Scandinavian Arkitektur and Arkitekten, Domus, Architecture D’Aujour’huii, Progressive Architecture, as well as books on Swiss modern architecture. Moreover, he had lengthy discussions with his colleague Gunnlaugur Halldórsson and artist friend Dieter Roth. Dieter introduced Manfreð to ideas of using materials in unconventional ways and giving them new roles. Inspired by Dieter, Manfreð used for instance a collection of half-inch water pipes from the construction site of his own house in 1960’s, to compose different types of stools and dining tables. He designed a Nissen-hut for a summer shelter for Dieter Roth in 1960, the resonance of which in Iceland is that of military occupation by the Allies during World War II. The turf layer was simply lifted up, and a large pipe inserted to provide shelter on the human scale. The proposal for Dieter Roth’s summerhouse reflects Manfreð’s approach to nature and the use of found objects. These traces of different sources inspired Manfreð in his search for an architecture language without subscribing to any trend. Human society and its evolution served as the basis of a contemporary approach. Whether in an urban or a natural location, it is the relationship between man and topography which imbues the environment with meaning. In Iceland one is constantly reminded of nature’s presence: her power, and her fragility, something Manfreð identified with wholeheartedly. In a recent interview, February 2016, Manfreð explained: “I was only 15 years old when I became a member of the travelling association Farfuglar, which organised trips with the aim to improve people’s knowledge about the environment. My attitude has not changed since then. Nature comes first; she should benefit from the doubt. To show her my respect, I visited the area of the power station at Kárahnjúkar in the east of the country in 2007, before nature was due to be drowned.” In Iceland, perception of nature is closely linked to historical events recounted in books and oral traditions. Nature offers the ground where things take place, where the action is held. Manfreð has always had a deep interest in the way the buildings mould to the place, creating a harmonious result where the man-made structure interacts with the land, the path of the sun, and the prevailing winds. In the lecture, Architecture and the Dwelling, published in the magazine Stefnir in 1963, Manfreð said: “I believe a beautiful hill, slope or hollow can be ruined by buildings bereft of beauty. The contours of the land that God created must be handled with sensitivity. That is what our ancestors did”. Here Manfreð is referring to the Icelandic turf house that developed over centuries in response to the Icelandic environment, climate and available building materials. Sites were chosen with care and perception. The builders had a sense of the topography, and sought to harmonise the walls, gables and weather-boarding with the texture and contours of the landscape. Drive-ins designed by Vilhjálmsson marked a turning point in Icelandic architecture, in terms of unusual materials, lightness and predominance of the structure. During a career of over 50 years since then, Manfreð Vilhjálmsson has gained a great respect for twinning together Icelandic context and building methods and ideas from abroad. His architecture sought new typologies rooted in the place and to create settings for man’s activities: social actions. Always respecting the pre-existing environment – in nature, buildings or a cultural context – he strove to create a dialogue and in so doing fomented the art of knowing how to listen, not only to observe. This entailed not only listening to the voice of nature or being aware of history but also, Manfreð insists, “keeping a good relationship with the client, a mutual understanding between the architect and craftsmen and enhance their working spirit.” Only then could a project be successful in all its details. Manfreð Vilhjálmsson came with a new approach towards modernity by responding to nature and culture. Nature becomes a companion, in a greater sense than merely in form and colour. And in all its complexity, it is an inseparable part of the development of projects. His buildings respond to nature either by wanting to become part of her, as in the Laugadalur campsite in Reykjavík (1987-1989), or in the cemetery service building in Hafnarfjörður (1976-1985), or appearing as a complete contrast, as in his own house in Álftanes (1959-1962), or in the summerhouse in Álftavatn (1964). Either way, Manfreð’s buildings take a stand, and position themselves in the surroundings, while always respecting the pre-existing environment. In the service building of the campsite in the Laugardalur valley, formerly farmland, Manfreð gave prominence to the ritual of looking out and checking on the weather. The architect imagined himself as a camper peeking out through the yellow opening of a tent. In the service building the yellow colour of the gables emphasises the sunlight, and enhances the light that shines through the translucent plastic of the roof, as in a tent. The framework recalls the structure of an old turf house. A light weight-bearing frame of waterproofed hardwood fits into a grassed surrounding wall, with a traditional turf wall at the bottom. Guests are welcomed this way to reach the open service area, which faces towards the sun and the campsite. The proportions are attuned to the human scale, and the camping life. The cementery service building in Hafnarfjörður is composed by two low wings meeting at a wide angle, providing a peaceful background at the upper end of the cemetery. The building seems to want to become part of nature as it merges with the land with the architect’s use of materials and colours. The choice of materials references the environment, and old Icelandic turf-and-wood churches. A concrete weight–bearing wall faces the mountain, from which solid drift wood beams (from telephone poles) extend, resting on similar uprights. A turfed roof rests on them. A light exterior wall of dark wood stands inside the poles. In the interior, between wall and roof, there is a skylight which casts light onto the concrete wall. A different example where nature’s weight is clearly felt is that of a summerhouse in Álftavatn (1964). This shelter rests on columns and sits gently on the lava landscape without touching the fragile plants on the ground. Proportions shape man’s activities in nature while man perceives the notion of a place through the building. Manfreð designed his own house, Smiðshús, together with the architect Guðmundur Kr. Kristinsson, who built a similar house on the adjacent site. By pooling their efforts, they used this as an opportunity for new ideas and solutions both in design and building techniques, which would benefit the construction industry. The house comprises two parts. To the north, a service core built with massive walls of pumice blocks, a volcanic material from the Snæfellsnes glacier, and manufactured by the company Jón Loftsson, which provided these blocks for several houses in the 1960’s and 70’s. This side of the hous responds to the Icelandic weather conditions by having small window openings – like the horses in the Icelandic landscape turning their bodies against the northernly winds. To the south, a light steel and wood structure housing the living areas. The southern façade is much lighter, as the whole wall is composed of big windows from floor to ceiling. Needless to say, in 1960, this building technique aroused considerable critique and doubts regarding its reliability. Now, 55 years later, it remains in its original state. In the interior, slender steel columns form a base for a system of joints on which the roof rests. Wall panels and windows units of standard sizes are slotted into the framework, a system of units measuring 3.6 by 3.6 meters. This system allowed for an open, flexible plan, thus dissolving the traditional arrangement of closed rooms. For Manfreð, the house is a setting for the eventful life which transpires there, and thus, old ideas of drawing room, living room and bedroom should be abandoned in favour of a concept of the home made up of different areas: rest area, work area, play area. Light division panels, without reaching the ceiling, sliding doors and furniture divide the family’s activities and give privacy, yet suitable for social communication. Although Manfreð still refers to this house as one where the architecture faces nature without surrendering to her spells, it can be argued that her presence is constantly felt through the big windows. It is as if the architect has invited her to form part of the dialogues taking place in the house by creating a peculiar setting. Another reference to domestic Icelandic building culture is the house at Mávanes 4, whose client was a businessman and traded with Japan. Mávanes 4 recalls the old Icelandic building technique of the turf house: solid exterior walls enclosing a light, independent interior wooden structure. A solid concrete exterior wall encloses the dwelling but inside a separate framework of black-stained timber supports the roof. Japanese influences are also felt in the fluidity of space and the relationship between the floor and the ceiling. A gap is created between the wall and roof with a line of narrow windows, which admits light to the interior and fills the house with brightness and a peculiar atmosphere. On the outside, vertical grooves lend a special character to all the concrete surfaces. These were achieved by using split timbers from fish-drying frames, and fixing them in the shuttering. These fish-drying frames were part of Reykjavík’s landscape but appeared here in a new role. This church is located close to the centre of the Árbær neighbourhood, at the top of a slope above Elliðaárdalur valley. Access to the church is via a lychgate, which doubles up as a belfry. The basic form of the church is a simple rectangle. It has a single-sloped roof whose highest point is over the altar. Here, a skylight is placed to shed indirect light onto the wall above the altar, pouring down to reflect on the altar piece, Lightburst, by the artist Rúrí. The nave is windowless, except the wall opposite the altar, which is a continuous glass wall. This produces a special effect on church-goers as they encounter the beautiful view over the valley on leaving the church. The notion of light is further reinforced by the roof, which seems to float in the air without touching the rough walls, giving the light a sense of being a solid material and to be treated as part of the architecture. The sloping roof, panelled in pale wood, rests on four sturdy glulam and steel rafters. The entrance and forechurch are in a lower building alongside the nave; beneath this is the parish centre, with a separate entrance. All interior objects in the nave, including the organ in collaboration with Björgvin Tómasson, were designed by Manfreð: the altar, pews and pulpit with suspended ceiling above are all made of whitewashed laminated pinewood. Halldóra Arnardóttir (Akureyri, Iceland, 1967) received a BA degree in Art History from the University of Essex in 1990. She received a Master’s degree in History of Modern Architecture from the Bartlett School of Architecture in 1992, and a PhD degree from the same University in 1999. Since then, she has worked independently in Iceland and in Spain as well as being a visiting critic and a lecturer around Europe, USA and Canada. 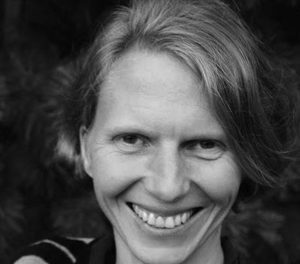 Her publications and projects include: Stories of houses (2001-2008), the television program Manfreð Vilhjálmsson (2004), and radio programs about architecture and design for Iceland’s National Broadcasting Company (2005-2007, 2015), Manfreð Vilhjálmsson arkitekt (National Price of Culture, 2009), Art and culture as therapy (2008-) and Kristín Guðmundsdóttir, interior designer (2015).